New. 2009. Paperback. 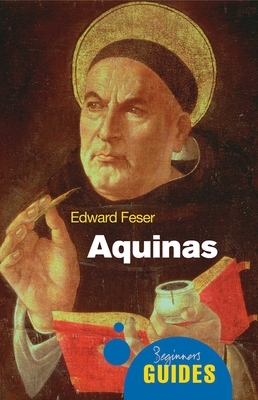 One of the most influential philosophers and theologians in the history of Western thought, St Thomas Aquinas established the foundations for much of modern philosophy of religion, and is famous for his arguments for the existence of God. This book covers his thoughts on the soul, natural law, and the interaction of faith and reason. Series: Beginner's Guides. Num Pages: 224 pages. BIC Classification: HPCB. Category: (P) Professional & Vocational; (UP) Postgraduate, Research & Scholarly; (UU) Undergraduate. Dimension: 196 x 130 x 18. Weight in Grams: 198......We ship daily from our Bookshop. New. Trade paperback (US). Glued binding. 205 p. Beginner's Guides (Oneworld). Near Fine with no dust jacket. 1851686908. 8vo 8"-9" tall; 216 pp; A Beginner's Guide.